A dire need has come again once more for one to address you the traditionalists, witches and wizards of our country, Nigeria. Of course other Nigerians are not, by any means excluded from this address. Nigeria is for all of us and its success belongs to us all. But I must first of all, again, congratulate all the wise men and women, by definition, the witches and wizards including many of the traditional rulers, the custodians of the culture of our country, for their past defense of Nigeria during the elections of 2015. Before the elections that brought in Muhammad Buhari as president, we learned of your meeting that was held at Afuze in Edo State in which Indian and Kenyan Witches and Wizard attended upon your invitation to them. The communiqué from that meeting at Afuze was read out at a Press Conference in Lagos by your leader/Spokesman, Dr. Okhue Iboi. There were all kinds and types of rumors, and many predictions that Nigeria will not survive the election; that the country will fall apart and; that foreign powers will come in to reoccupy Nigeria if fighting should break out during and after the election. Of course, the week before the elections saw many Nigerians in the big cities exodus to their various villages and hamlet afraid of the rumored and predicted doomsday that was to befall Nigeria. Alas, that elections came and gone, and Nigeria stood firmly without fall. Therefore, we thank you for your assistance which we know contributed to the success of Nigeria prevailing in that election of 2015. 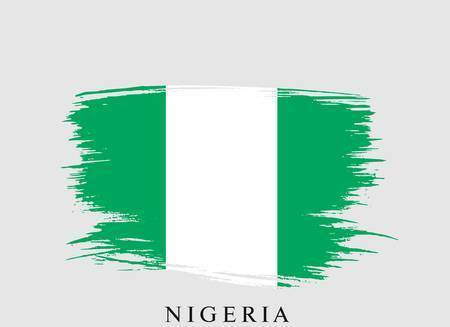 Nigeria is the only place we can call home; we must save Nigeria and preserve it. Today, Nigeria and Nigerians are faced again with an uncertainty due to another presidential election in which Muhammadu Buhari; a Fulani is contesting again against Atiku Abubakar, another Fulani. There are other more qualified candidates, Olufemi Sowore and Kingsly Moghalu by dint of their realness, young, experience, education, articulate and candor. The last two contestants are little known in the interior of the country in spite of their qualifications, experiences and their much more obvious known concerns for the well being of the country and the people. The big problem, however, in this election for Nigeria and Nigerians is Buhari and Atiku. Both are Fulani and both appear to have ulterior motive under their sleeves. According to a former President of Nigeria, both Buhari and Atiku are two evils in which the lesser evil is preferred. To him, Atiku is the lesser evil and he was presented by his political party, PDP. But this writer in his own opinion, based on experience and knowledge devoid of any political affiliation in Nigeria, holds that evil is not preferred for Nigeria neither of the two “evils.” This is because evidence and rumors show that the Fulani among us are after Nigeria and the blood of Nigerians for the sole purpose of eventual Islamization while holding onto political power of the country.